About 45 minutes south of San Francisco sits Half Moon Bay. It’s a small coastal town with an almost perfect Mediterranean climate (the weather usually ranges between 58 and 67 degrees... year round). This means September and October are the perfect times to visit, when temps are the highest and skies are the clearest. The town’s loaded with things to do; everything from horseback riding on Poplar Beach to kayaking with seals in Pillar Point Harbor. If the time is right, you can also catch surfers from around the world paddling out at Mavericks -- one the most challenging big waves in the world, where it’s not uncommon to witness pros risking their lives to ride 50-foot waves. If you want something a little more laid back, fear not. 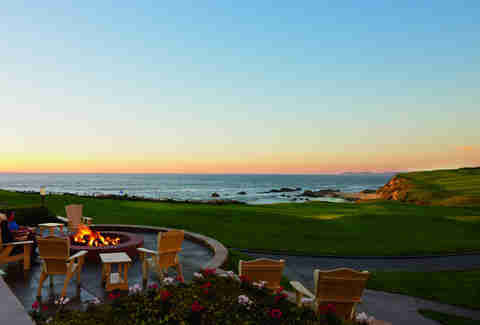 Cocktail connoisseurs can tour a local distillery or enjoy a glitzy drink while watching the sunset over the Pacific at the Ritz-Carlton or join a low-key, summer-night wine tasting. No matter what you decide, we’re here to help. It doesn’t matter if you’re in town for the day, weekend, or week. Our extensive agenda below will ensure you make the most out of your trip to the oldest settlement in San Mateo County. What if a classic roadside stand received culinary TLC from a three-star Michelin chef? Find out with a trip to Dad’s Luncheonette, a comfort-food restaurant housed in a caboose with a short and sweet menu by two local food titans -- Scott Clark and Alexis Liu. Everything but the cheese is organic, and all of the condiments are homemade so you can feel good about your choices as you a devour delicious egg-topped burger. 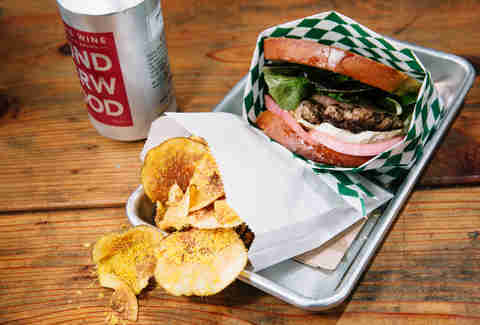 This should be your first meal in town; you can’t miss it as you drive into Half Moon Bay. Dad’s Luncheonette is open Thursday through Sunday, but it’s important to call first to make sure they haven’t sold out of food and closed early. Go to the Ocean Terrace Bar and be thoroughly dazzled by the sun setting over the Pacific Ocean as you sip on a spiced ginger daiquiri. Here, you’ll find a full bar with a short list of specialty cocktails, including the tequila and Aperol-spiked Seaplane or the zesty citrus and rye filled Ward 8. Now let's talk snacks. 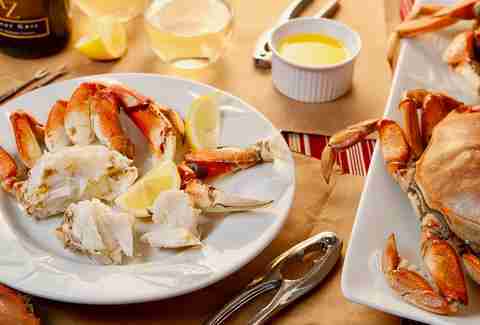 You can make it feel like the world’s fanciest bonfire by ordering a s’mores kit for four, or dig into a pile of Alaskan King crab legs from the Raw Bar and Grill menu. Food is available until sunset, and the wait for a table can be quite long, so get there early to snag a prime seat. Learn all about premium handcrafted spirits from the pros. The husband-and-wife team that own Half Moon Bay Distillery will walk you through the fascinating process of making your next bottle of booze. 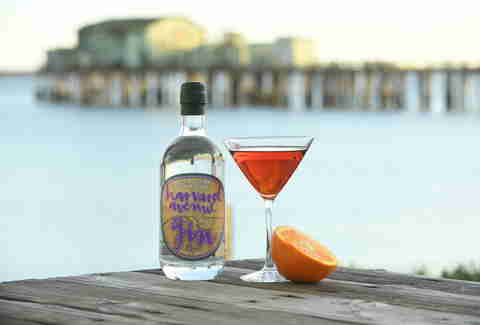 Their small-batch liquors appear in bars all over Half Moon Bay, so before you try it somewhere else, go to the source. Tasting is a part of the 45-minute tour, and don’t forget to make a reservation on the website. Also, once learning about the process and history, expect to buy a bottle as your own personal souvenir. I’ll start with a must-order: the Italian lemon cake, a fat slice of sweet, lemon flavor that achieves the ideal balance between sweet and tart. Lemony whipped cream and delicate layers of cake come together for a dessert that satisfies without filling you up. If you’re looking for something a little heavier, try the soft pumpkin cookies with a thick smear of cream cheese frosting in between, or the stiff yet buttery Half Moon cookies. There’s no seating inside, which means you’ll have to pop over to the park next door for a picnic. A loaf of pesto artichoke bread -- a speciality of the area -- is a great souvenir to keep the vacation vibe going once you get home. There are few things cooler than a tidepool. It’s a compact world full of flickering anemones, sea urchins, hermit crabs, and more. 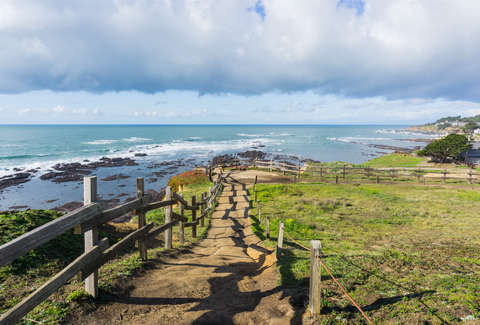 Go immerse yourself in these natural wonders by visiting Fitzgerald Marine Reserve, which has some of the best tidepools in Northern California. Check the tide the day of your visit, because if you want to see tidepools, you’ll need it to be a low-tide day. Really want to geek out? On weekends there are naturalists who hang out by the tidepools and are available to answer your questions. 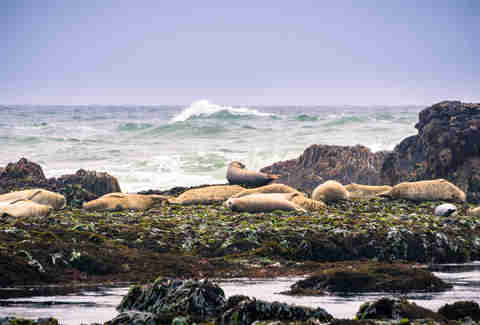 Or dig deeper and schedule a tour with Friends of Fitzgerald Marine Reserve. A guided horseback ride on a stunning trail offers a whole new way to enjoy the seaside. Take a horse along the coastal equestrian trail and onto Poplar Beach as you take in spectacular views. A trained guide will accompany you on the ride, which can take between one and two hours. You pick the length when you book the experience on the website, and you can also choose which path you’d like to explore. If you want to skip the beach or dig into more parts of the coastal trail, you can select the perfect tour for you. Don’t worry if you’re a horseback-riding novice: These guided rides are for everyone from newcomers to experienced riders. Try the five tastes for $10 in the tasting room, then buy a bottle of your favorite new wine and enjoy it in the serene garden. You can bring your own picnic and they’ll help you pair a bottle of wine to what you packed, or you can stock up on charcuterie and picnic goodies at the wine shop. Post-picnic, play a few rounds of bocce on their bocce courts. Wine picnics are fun no matter what, but there are a few special days when you need to go to La Nebbia for their Barrel to Bottle events. Bring your own bottles and jugs and get them filled up with red or white wine, depending on the event, fresh from the barrel. Half Moon Bay Kayak Company offers everything from adventurous tours to hourly rentals. If you’re content to do your own thing, this is the spot to rent a kayak, stand-up paddle board, or bike. Rentals are available for the day or by the hour. If you’re looking for a more guided experience, they’ll do that also. Watch the sunset as you SUP, kayak with seabirds and seals, or catch your own Dungeness crab. However, these adventures do require a little bit of packing, even if you’re just in town for the day. Bring a change of clothing in case yours get soaked and a pair of shoes that you’re willing to get wet. Sunglasses (with a strap), sunscreen, and hats are also recommended. They provide wetsuits and waterproof paddle jackets. Book your tours and rentals on the website before you go -- you can do a walk-up for rentals, but they can’t guarantee that they will still have it available in the busy season. The world-famous surf competition Titans of Mavericks takes place in Half Moon Bay, making it officially the most badass place to learn how to surf. 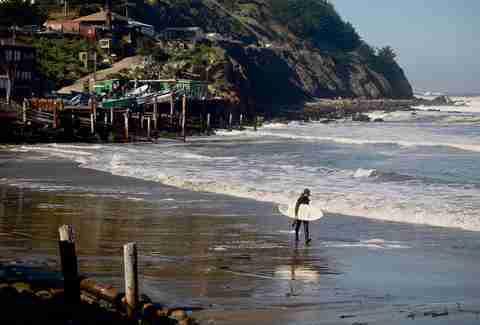 Sea Surf Fun won’t throw you into monstrous waves though. They’ll guide you through the basics at Surfer’s Beach (also called The Jetty) and help you master your balance and form. There are a lot of options when it comes to lessons: You can go for a private lesson, a semi-private lesson with one or two friends, or a group lesson. Group lessons are on Saturdays, while private and semi-private lessons take place during the week. A day of kayaking, surfing, and drinking requires serious sustenance. Barbara’s Fish Trap is the answer, where you’ll definitely want to grab some fish and chips. There’s an actual brick and mortar spot and right next door, a little stand with the same menu. If the line is too long at the restaurant, order at the stand and walk down to the stretch of beach right behind Barbara’s for a beach picnic. This spot is cash-only, but there’s an ATM on site. Pepitos are so much fun. They’re tiny open-faced tapas sandwiches and you order approximately a bazillion of them as you polish off a carafe of sangria. Seville Tapas bakes their own baguettes and serves each pepito with a heap of salty potato chips. Try the classic Manchego and Spanish chorizo, or the cream cheese and membrillo. For gluten-free bar food lovers, you can order these on gluten-free bread. Platters are a good way to try a bunch of pepitos, or it’s fun to pick and choose from the big menu and plan your meal of small, rich bites. Once you’ve gotten the hang of it, you can build your own pepito with the “Create Your Own Pepito” menu. There’s also plenty of non-pepito tapas to round out the meal. Looking for more of a laid-back lunch vibe? Show up early on a Sunday, when they make a special paella. 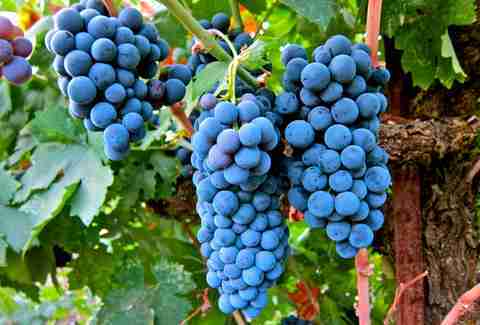 You can watch them make it in the morning, then enjoy it with a glass of wine at 1pm. The patio is dog-friendly, so let your puppy join in on the fun. Have you heard of forest bathing? It’s ostensibly practicing mindfulness in nature. It’s supposed to help reduce your stress, improve your immunity, and generally bliss you out. All you have to do is find a forest where you can take a quiet walk and breathe in lots of fresh air. Not sure where to go? We’ve got you. 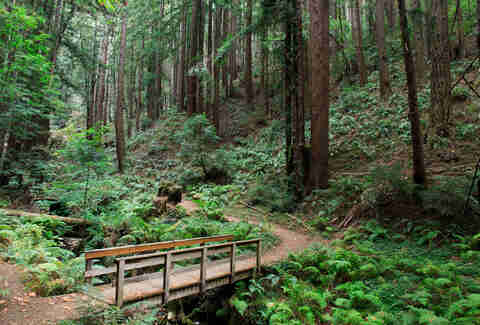 Head over to Purisima Creek Redwoods Open Space Preserve and breathe in deeply amongst the towering redwoods. If you’re looking for more of a workout experience, the preserve has over 24 miles of trails for hikers of all levels. Claire Margine is a freelance writer based in SF, home of the world’s best day trips. Send her your day trip ideas on Twitter @cmoshenb, and check out more of her work at clairemargine.com.